Blackwater Skies: SpongeBob where are you? 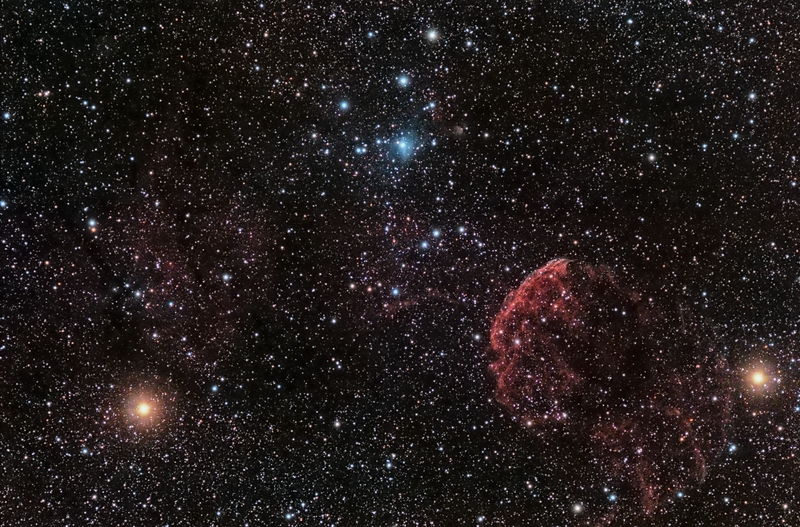 The Jellyfish Nebula (IC443), the remains of a supernova in the constellation of Gemini. It is about 5,000 light years away and was created sometime between 3 and 30 thousand years ago. Also top centre is IC444 which is a blue nebula due to starlight being reflected off gas and dust. (No sign of SpongeBob or Patrick though). Seeing was particularly good on this night.